Backers of the anticipated Red Planet release for Exile Game Studio’s beloved Hollow Earth Expedition line were treated to an exciting planetary conjunction this weekend. Revelations of Mars is complete. Those who backed the project at the PDF and above level were sent download codes from DriveThru on Friday to get their first complete look at the finished project. We have been subjected to numerous teases over the intervening months since the Kickstarter wrapped up, but now the gates of wonder have been kicked open and the hot winds of creativity and inspiration are whipping past us. Mars is definitely a location fitting for adventure, HEX style! For fans of the planetary romance genre, however, that is not all that this book is. 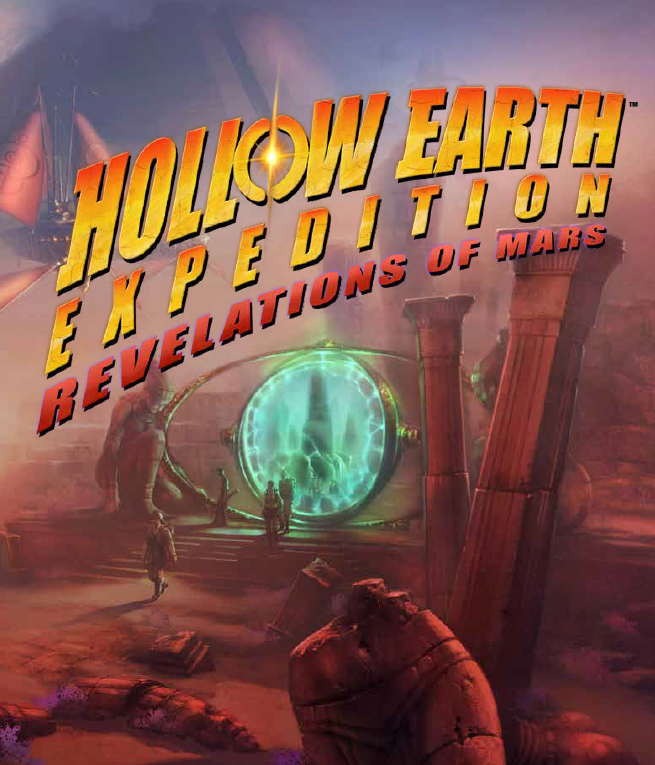 While certainly aimed at expanding and extending the rich setting for Hollow Earth Expedition, the authors recognize that gamers may wish to use the book to build their own Martian settings. Inspiration abounds for those who wish to do just that. For GMs who are curious about what things like aerial combat might bring to the game, the vehicle section is well-detailed and moves through chases, piracy, vessel types, volleys, and boarding, all with an eye to keeping things as blisteringly fast as you would expect from Ubiquity. For those who have been long-time GMs for the system, or those who have recently begun to think along these lines with the advent of the mechanically compatible ubiquity system release of the venerable Space: 1889, this chapter may be worth the price of admission alone – but there really is a lot more. New character types, and advice for building your own as we saw in the previous expansions show a lot of thought and a lot of creative use of the two packed pages of inspirations. This is an exciting Mars, an ancient and mysterious Mars, and a very deadly Mars. Cultures, gear, strange red metals, supernatural and technological powers, potent bloodlines, conspiracies, and the wars for waning knowledge and resources, make this version of the Red Planet a compelling place to visit, and attempt to survive. For more detail and more images from the pdf, the full review on my YouTube channel can be viewed here. Can’t wait to get my hands on this! I looove Planetary Romance/Pulp! STILL f#$%ing waiting on this stuff. After two years of having my cash, I don’t think asking for expediency is too much. This and the Space: 1889 debacle with Chronicle City (avoid like the plague!) have pretty much put me at the “never buying new game material” stage.